All the funds we receive are through the voluntary efforts of our parents, friends and supporters. As you can see from the website the service is currently expanding with ambitious plans for the future. If you wish to make a donation to SBHI Kildare Branch please contact us or complete the form below which is fully SSL Security and PCI compliant. Your Credit card information is encrypted and safely stored with the Stripe payment processor. We would like to thank everyone who has supported us throughout the 30+ years on the branch. 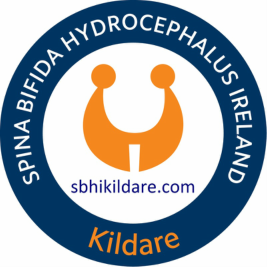 We place immense value on the volunteers we have who work tirelessly for Spina Bifida and Hydrocephalus awareness and support fundraising activities throughout Kildare. We are financed almost entirely from fundraising, but also receive some private donations and occasional grants from bodies such as the HSE or National Lottery. Our accounts are independently audited each year by Alan Keane and Co. Accountants, Oak Road, Dublin 12 and presented for approval at our Annual General Meeting.